BOOK NOW: The Big Bang North West 2019! 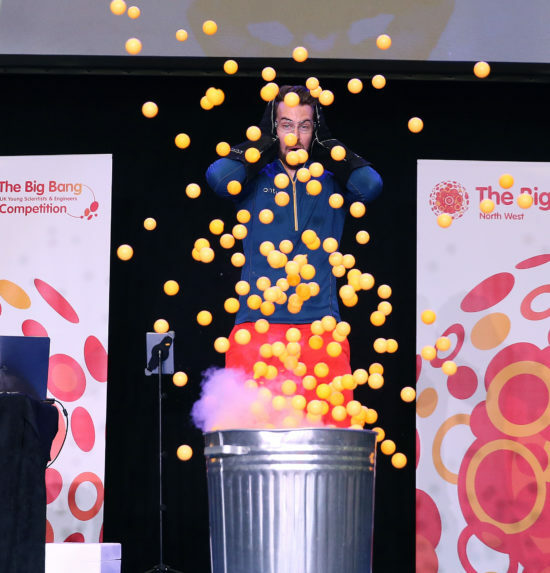 Building on the amazing success of previous years, The Big Bang North West will return to the Exhibition Centre Liverpool on the 2nd of July 2019 with a Big Bang like never before. WE NOW HAVE THE CAPACITY FOR 8000 ATTENDEES! 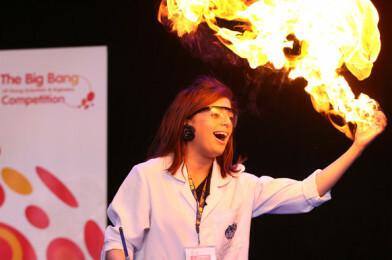 The Big Bang North West is the biggest STEM celebration in the region and is not to be missed. The arena floor will be packed with fire shows, dry ice, gadgets, robots, coding, forensics, creatures, slime, medical magic and more. Watch our video and experience the excitement, inspiration, booms, bangs and fizzes of The Big Bang North West! School trips are expensive, yes? NO! The Big Bang North West is FREE and your class or school can attend, you only need to arrange transport. All school aged children are welcome. Schools can meet face-to face with inspiring engineers and scientists, from all walks of industry and academia, to discover information about careers, employers and further study. There will be interactive stands as far as the eye can see with fun hands-on activities & experiences, not to mention our (now legendary) live shows! Attendees can check out the entries for The Big Bang UK Young Scientists & Engineers Competition 2019/2020 too. If you are working on a sensational STEM project you can enter here! We are overjoyed to announce that we have an amazing NEW Headline Sponsor! 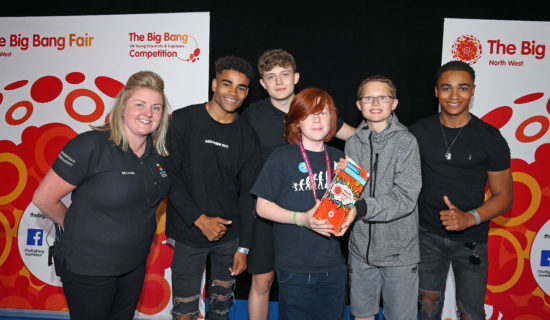 Unilever have supported The Big Bang North West for many years and we are excited that they were so keen to partner with us and inspire all by taking the lead on our flagship event. 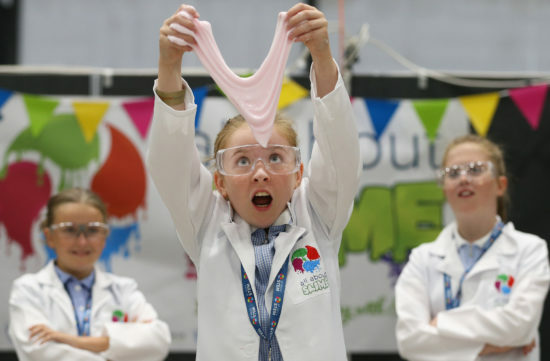 “Unilever’s passion to support STEM learning has grown each year, at the very centre of this sits The Big Bang North West, which is utterly unmatched in its energy, inspiration and quality for any student between 5-18.” Unilever, Director R&D, Glyn Roberts. “Big Bang North West is the biggest interactive STEM event for young people in the North West and we cant wait for it to be July already! It is essential that we inspire our young people to think about careers in our region, and celebrate their achievements. 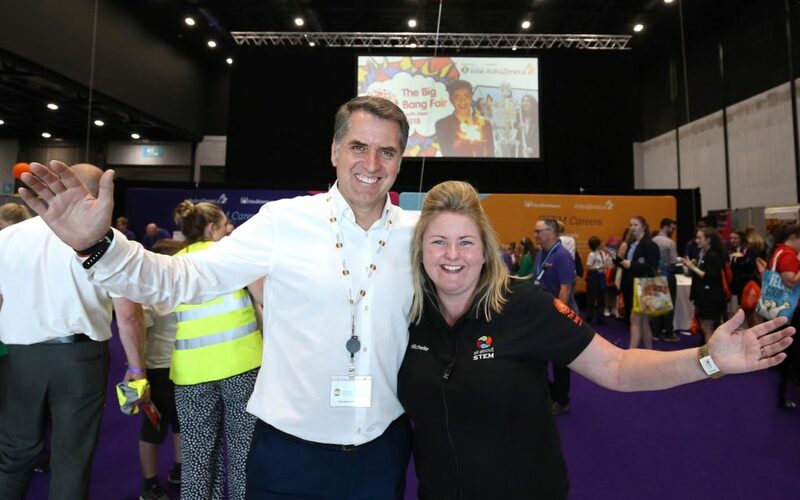 This event is a shining example of employers, stakeholders, further and higher education working together to showcase amazing opportunities for the next generation.” All About STEM, Managing Director, Michelle Dow. We can’t wait to share everything we have planned, it’s going to be phenomenal! Follow The Big Bang North West on Twitter & Facebook as we reveal our activities, exhibitors, sponsors, workshops and shows. LATEST: Due to popular demand, this event is fully booked but interested schools can join our waiting list to be notified of future ticket availability.